William Jefferson Blythe III was born in Arkansas. 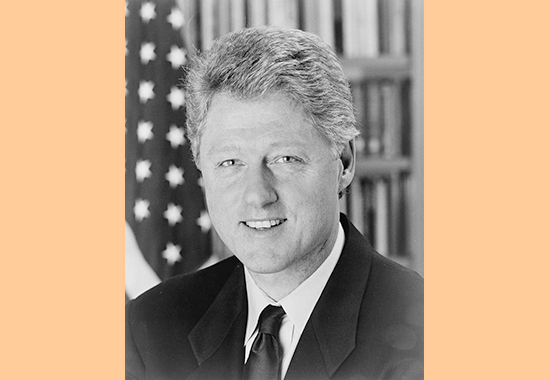 He took his stepfather's name and became William Jefferson Clinton. 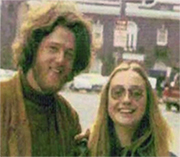 In 1975, Bill married Hillary Rodham. In 1976, Clinton was elected Attorney General of Arkansas. From 1977 to 1979, Bill Clinton was attorney general of Arkansas. At the age of thirty-two, Clinton became the youngest governor in the United States, the Governor of Arkansas. 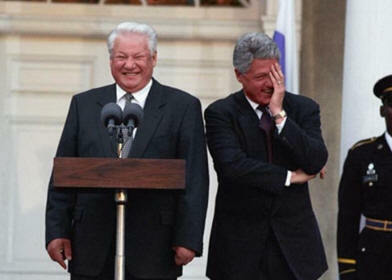 From 1993 to 2001, Bill Clinton was the 42nd U.S. President. On January 20, 1993, Bill Clinton delivered his First Inaugural Address. His vice president was Al Gore. On April 19, 1995, Timothy McVeigh and others detonated a homemade bomb in Oklahoma City, killing 168 people. On April 23, 1995, President Clinton delivered his Oklahoma City Bombing Memorial Address. On January 20, 1997, Bill Clinton delivered his Second Inaugural Address. Al Gore stayed onboard as vice president. Back in 1995, Monica S. Lewinsky had become one of the new interns at the White House. On August 17, 1998, and after his testimony before the Independent Counsel's Grand Jury, Clinton delivered his nationally televised Address to the Nation. Let's call the speech Even Presidents Have Private Lives. In 1999, Clinton was cleared of all charges. On September 5, 2012, Clinton delivered his speech at the Democratic National Convention in Charlotte, N.C. Contrary to many other speakers so far in the 2012 election race, Clinton presented clear facts and people were amazed. So much so that President Obama commented after the convention, "Somebody e-mailed me after the speech and said 'You need to appoint him Secretary of Explaining Stuff.' "